The Peace Museum01274 780241work MuseumThe Peace Museum occupies three small, unique galleries in one of Bradford’s many fine Victorian buildings. It is the only accredited museum of its kind in the UK. 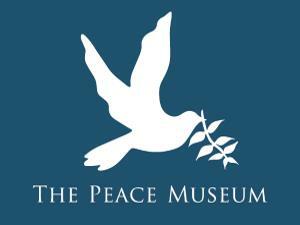 The Peace Museum is a member of the International Network of Museums for Peace. The history of peace is often un-told. The Peace Museum highlights the stories of the countless number of people who have worked to bring an end to extremism, conflict, violence and inequality and who have attempted to create understanding, peace and cohesion. The Peace Museum has a collection of some 7,000 items. They chart the history of Peacemakers and Peace-making, locally, nationally and globally. Key exhibits relate to modern day peaceful protests, Conscientious Objectors, Greenham Common Women’s Peace Camp, and Bradford as a city of peace. We also have a varied programme of temporary exhibitions, that change regularly throughout the year. Past temporary exhibitions have included 'Peace after Partition', 'Remembering the Kindertransport: A tale of two suitcases' and 'A force for peace? The history of European Cooperation'. We hope our exhibits inform visitors, encouraging thought, discussion and inspiration. The Museum offers educational activities for children and young people within the museum galleries. These involve workshops, trails and guided tours. The Museum has also produced curriculum resources available for teaching which can be purchased from the shop. We welcome adult groups and community groups for general and guided visits. The Peace Museum occupies three small, unique galleries in one of Bradford’s many fine Victorian buildings. It is the only accredited museum of its kind in the UK. The Peace Museum is a member of the International Network of Museums for Peace. Access to museum: No lift available. 60 steps to museum. Toilets are on the same level as museum. The Museum is open every Wednesday, Thursday and Friday 10am - 4pm. To confirm opening times please contact info@peacemuseum.org.uk or telephone 01274 780241. From M606 take A6177 east. Then take A650 into city centre. Follow city centre signs and park where one can. Street parking is 70 metres away. Map also available on request on 01274 434009 and on the museum's website. Bradford Interchange and Bradford Forster Square Train Station are both five minutes walk from the museum.